There was a woman on campus at Kent State about a month ago, advocating for one of the major political parties. She told everyone to wear her party’s color to the polls on Voting Day, so I made a mental note to carefully consider my wardrobe for today. 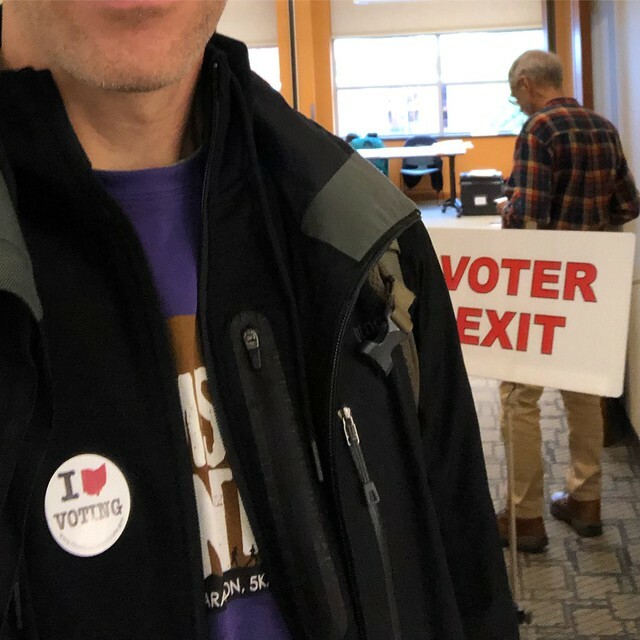 I decided to wear purple and black because I cast votes on today’s ballot for some Democrats, some Republicans, some Libertarians, and some Independents. I mourn the fact that there aren’t more and better choices in our political system — but I’m also glad to live in a place where my vote is counted. Let’s not take it for granted! This entry was posted in American Politics, Kent, Ohio, Politics, Social Issues, The United States of America. Bookmark the permalink.